We just got back from an insanely adventurous week in Columbus shooting anything and everything UFC (Ultimate Fighting Championship). Thanks to an amazing team (Lisa, Seth & Mark) and also to Jim who owns the Mug and Brush for letting us take over the shop for a portrait! 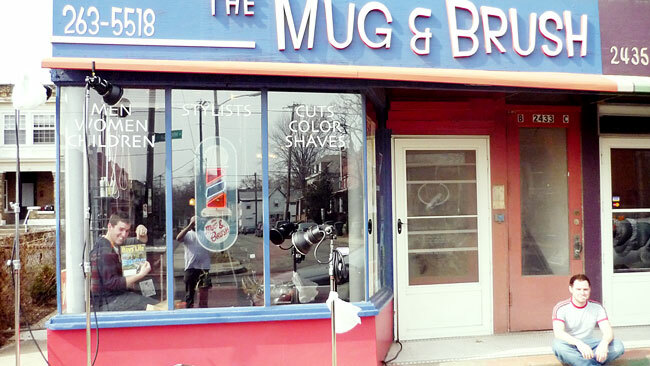 If you're looking for a trim or a good shave the next time you're in Columbus, Ohio, be sure to stop in! That's me checking in on my current issue of Boys Life magazine. 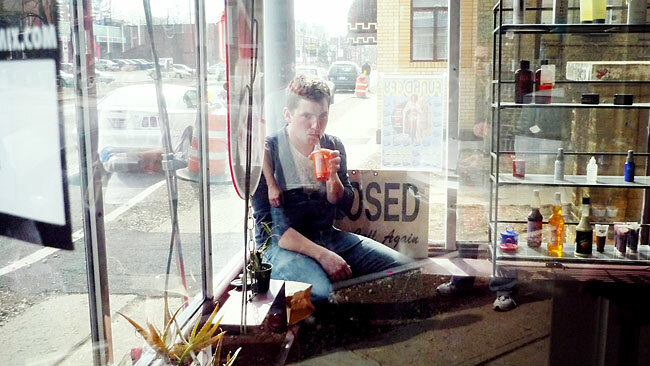 And, there I am again sippin on the world's best orange-carrot-ginger blend from Northstar. Although it looks like I'm drinking a cup of orange tempera paint, it's quite tasty and highly addictive. I'm yearning for my own home juicing machine really bad.